One of the many benefits of belonging to The Natural Healing Center's family is the knowledge and expertise and the many methods of helping on your wellness journey. We will be able to customize your treatment plan and get you on the road to recovery with the addition of massage therapy. 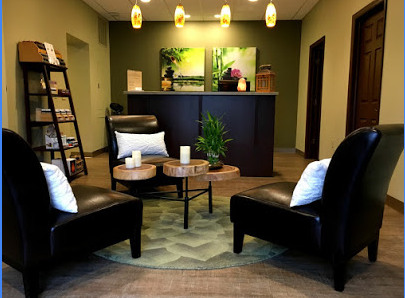 Our sister company Healthy Balance Massage Center is our secondary location on Friday's and Saturday mornings with Dr. Rich. We have very talented massage therapists on staff and offer many styles of massage. Many types of massage offer benefits beyond simple relaxation and will be used in help with your recovery. Here are just a few of the health problems that benefit from massage. Back pain . More than one study has shown the effectiveness of massage therapy for back pain. A 2008 research review and 2011 NCCIH-funded clinical trial concluded that massage may be useful for chronic low-back pain. Neck pain. Massage may help with chronic neck pain, a 2009 NCCIH-funded clinical trial reported. Yoga & Massage. Brief, twice-weekly yoga and massage sessions for 12 weeks were associated with a decrease in depression, anxiety, and back and leg pain in pregnant women with depression, a 2012 NCCIH-funded clinical trial showed. Also, the women’s babies weighed more than babies born to women who didn’t receive the therapy. Fibromyalgia. A 2010 review concluded that massage therapy may help temporarily reduce pain, fatigue, and other symptoms associated with fibromyalgia, but the evidence is not definitive. The authors noted that it’s important that the massage therapist not cause pain. Women in Labor. Studies suggest that for women in labor, massage provided some pain relief and increased their satisfaction with other forms of pain relief, but the evidence isn’t strong, a 2012 review concluded. Infant care. Massaging preterm infants using moderate pressure may improve weight gain, a 2010 review suggested. We don’t have enough evidence to know if massage benefits healthy infants who are developing normally, a 2013 review determined.